Create a lasting impression with every detail! 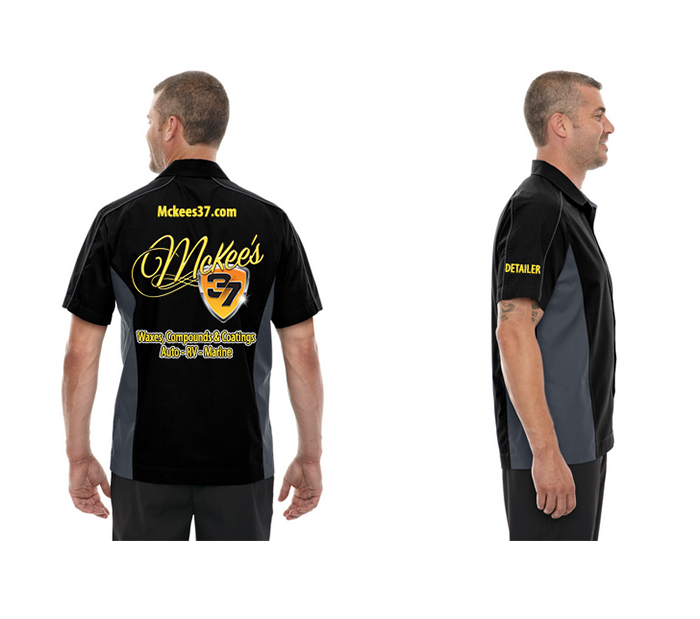 McKee's 37 Racing Shirt is for the professional detailer or weekend warrior that wants to a leave a lasting impression on their customers. Made from a blend of 65% cotton and 35% polyester, McKee's 37 Racing features a screen-printed logo on the front right breast and a larger 37 logo on across the back. While you’re stocking up on your favorite McKee's 37 Car Care Products, make sure you grab your matching McKee's 37 Racing Shirt!